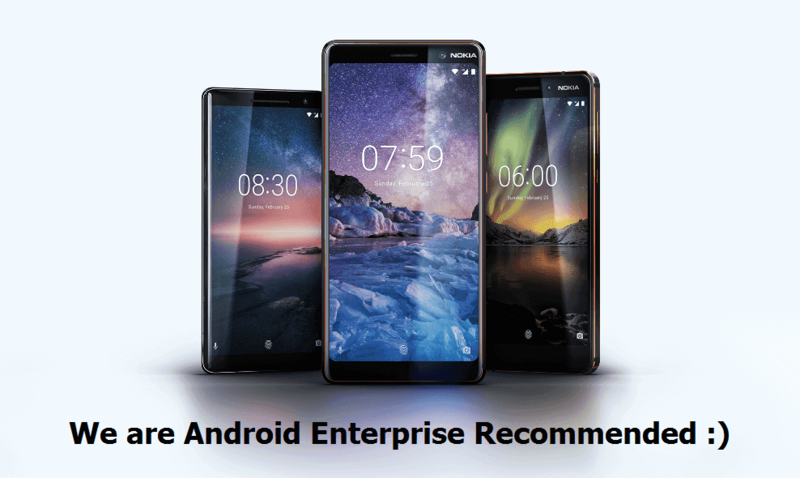 After adding Nokia 8 to the list of Android Enterprise Recommended devices, Google has also added the newly launched Nokia 6.1, Nokia 7 Plus and Nokia 8 Sirocco to the list of devices that Google recommends for the enterprise users. Google has started the "Android Enterprise Recommended" program where they list the best devices that can be used by the business users. To qualify for the Android enterprise recommended program, the devices have to meet minimum requirements set by Google. The devices should receive regular OS and security updates. Here is the link to the list of requirements for Android Enterprise Recommended Program. HMD Global has been very fast in providing regular and timely OS and Security updates for all their Android smartphones, be it the low-end Nokia 2 or the top of the line flagship Nokia 8. Also, the newly released Nokia smartphones are on Android One program which means much more fast software updates. This has helped new Nokia devices (Nokia 6, Nokia 7 Plus and Nokia 8 Sirocco) gain the spot in the Google's Android Enterprise Recommended list of devices. Here is a link to the dedicated page for Android Enterprise Recommended devices on Nokia Mobile's official website.